If you're following a vegetarian diet and feeling nauseous or dizzy, you may be wondering if your diet is to blame or if a medical condition is the culprit. A variety of things can cause dizziness in vegetarians, so knowing why this is happening to you and when to seek medical attention is a must. Iron is a key nutrient for vegetarian dieters, according to the Academy of Nutrition and Dietetics, and iron deficiency can cause you to feel lightheaded, nauseated, and dizzy. Iron deficiency anemia affects about 2 percent of men and 9 to 20 percent of U.S. women, but dizziness from iron deficiency should resolve fairly quickly after taking iron supplements. Vegetarians have increased risks for iron-deficiency anemia simply because meat is a main source of dietary iron. To avoid dizziness caused by low iron, eat plenty of iron-rich legumes, spinach, iron-fortified breakfast cereals, dark chocolate, or tofu -- or take an iron supplement. However, use caution when taking iron supplements on an empty stomach because this can lead to nausea. Vitamin D is another important nutrient for vegetarians, notes the Academy of Nutrition and Dietetics -- especially those who avoid dairy foods. About 32 percent of people in the U.S. are at risk for low vitamin D, according to the Centers for Disease Control and Prevention. A 2013 review published in Medical Hypotheses reports low vitamin D appears to be associated with vertigo, a condition that causes nausea and dizziness. If your dizziness is caused by low vitamin D, it should resolve after you get levels back up to a normal range. To avoid vitamin D deficiency, add dairy foods, egg yolks, or vitamin-D enriched orange juice, soy milk, or almond milk to your vegetarian meal plan. Or, make sure vitamin D is in your multivitamin supplement. Sunlight exposure is another way to meet daily vitamin D needs. Being deficient in vitamin B12 is another cause of dizziness and nausea in vegetarians, according to the National Heart, Lung, and Blood Institute. About 3 percent of older adults are deficient in vitamin B12, according to American Family Physician. But dizziness should resolve within a few days after seeking treatment -- which may include B12 supplements or injections. Consume plenty of dietary vitamin B12 or take a B12 supplement to lower your risk of dizziness. If your body doesn't absorb B12 properly, ask your doctor if injections are appropriate for you. Food sources of vitamin B12 for vegetarians include vitamin B12-fortified breakfast cereal, milk, yogurt, cheese, and eggs. Soymilk is often fortified with vitamin B12, but check the nutrition label to be sure. Being dehydrated is a common cause of nausea and dizziness, notes Mayo Clinic, and vegetarians are just as much at risk for dehydration as meat eaters. Chronic dehydration is common, especially among children, but re-hydrating should only take a few hours. Dizziness should go away after you're fully re-hydrated. To be sure you're getting plenty of fluids, drink at least 11 to 16 cups of water daily, suggests Medline Plus. Make sure your urine is light yellow or clear in color, not bright yellow (often a sign of dehydration). Regardless of which type of diet you're following, low blood sugar is a common cause of dizziness, nausea, and even fainting. If you're experiencing dizziness and are taking diabetes medications, ask your doctor to evaluate your medication dosage and meal plan. Even if you're not diabetic, skipping meals or over exercising can cause low blood sugar. Eat regular meals or snacks spaced evenly throughout the day to help keep blood sugar in check. If your blood sugar gets too low, eat a carbohydrate-containing food (such as fruit, juice yogurt, milk, legumes, or whole grains) to make dizziness go away almost immediately. In many cases, seeking treatment for these medical conditions can help mitigate dizziness. Taking certain medications is another common cause of nausea and dizziness in vegetarians. So, if you're taking any medicines, such as blood pressure or anti-seizure medicines, antidepressants, or sedatives, be sure to check the warning label to see if your symptoms are medication-related. 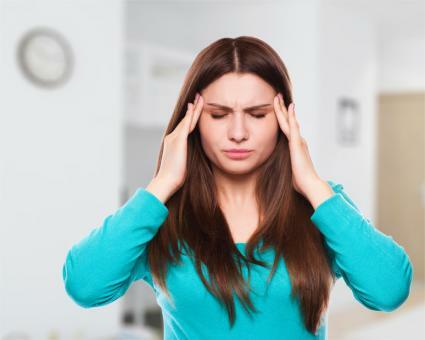 If you stop taking medication that's causing dizziness, the condition should resolve. Talk to your doctor before discontinuing prescribed medications. While vegetarians are at risk for dizziness if they have certain medical conditions, dizziness caused by diet can be prevented and treated. Any form of dizziness poses a risk for fainting, falls, and other injuries, so if you're feeling dizzy seek medical attention as soon as possible to determine the cause and appropriate treatment.